Everyone who has visited this blog over the past 4 years knows that this space isn’t only for “bad days” and “bad moments”. It is also for inspiration, motivation, and awareness for many causes that I hold near. This entry today is a mix of those things. I want you to bring awareness to yourself regarding…yourself. We live in a time where there is an endless supply of outside chatter, so much that we forget to look inward. I’m big on reminding my people about listening in. It helps you realize how you’re using your energy and what you’re focusing on (or should be anyway) . Validation and approval can be part of the noise you need to block out. Silence is golden. That saying is timeless and true. Between television and headphones, friend hangouts and relationship hangups we have ample opportunities to disregard our own wellbeing. Mental health, as we all know, is a significant and unfortunately overlooked aspect of overall health (until recently). Don’t say, “I don’t have time to take time for myself.” Because that isn’t true. I know you have time to pick up your phone and check social media. Make time for you. Even if it’s for 10 minutes to start. You’ll discover immense strength within and learn what truly requires your attention in this chaotic life we lead. 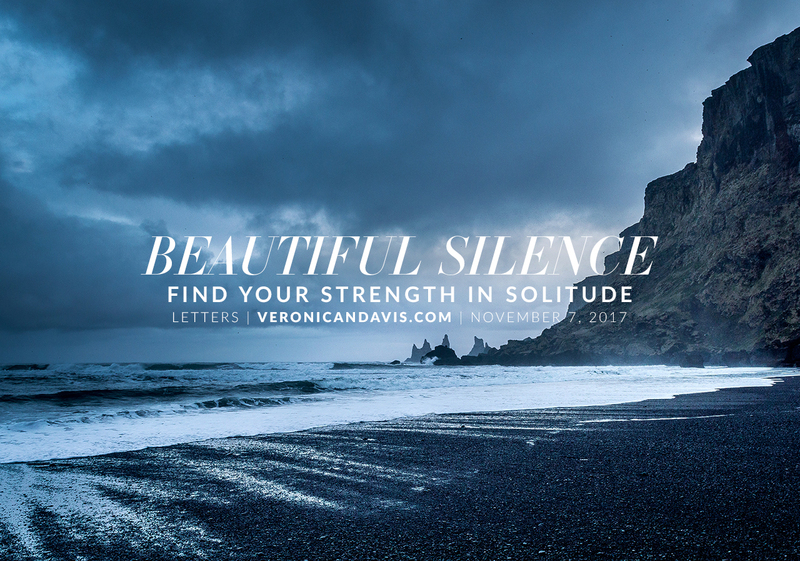 You are worth the silence and you will find your voice in solitude.